This is Phil at three months old in April 2018! I’m learning how to propagate my ginormous Monstera Deliciosa. I got this plant in December and it has tripled in size over the last five months so I thought I would start to propagate it. Before doing so, I thought I would pull some information together about its origins, leaves and growing conditions for y’all. The Monstera deliciosa – also known as split-leaf philodendron – is a native plant of tropical forests in Southern Mexico, south to Panama. 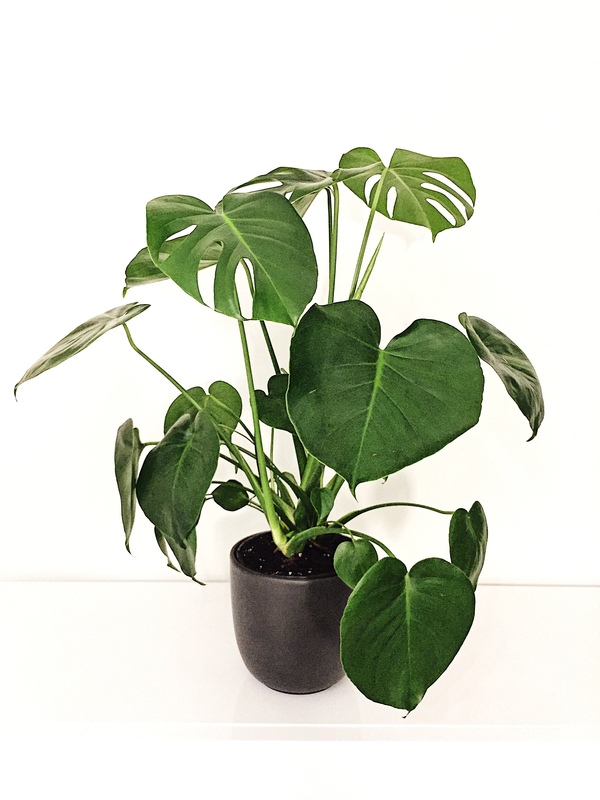 “Deliciosa” refer to the edible fruit that this plant produces and “monstera” refers to the sheer size that this plant can grow to – over 30 ft tall. This plant is commonly grown for interior décor in public buildings and as houseplants. Knowing its origins is important, because you will find that the plant under optimal growing conditions will grow quite quickly and might not be something you will be prepared for if you live in a small space. 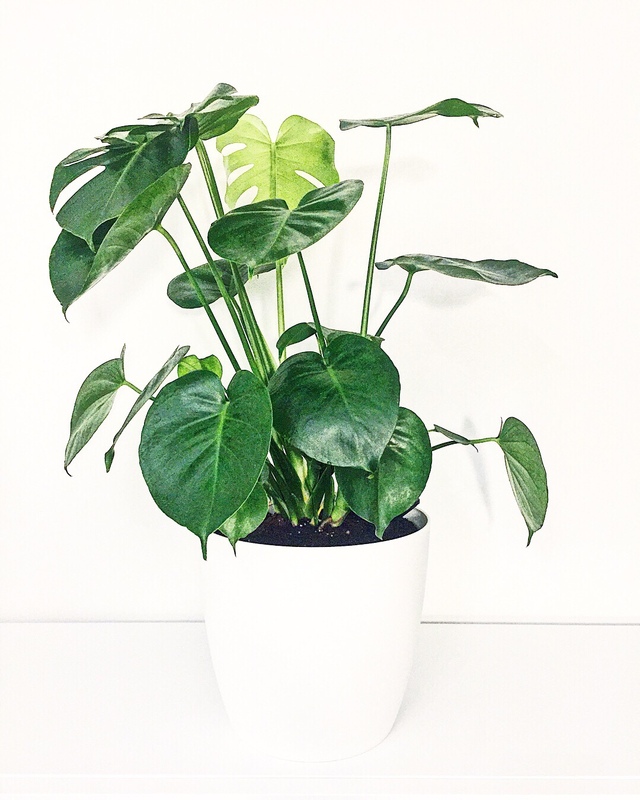 Split-leaf philodendron grows as a houseplant in cooler climates. The split leaves or indents in the leaves gives the plant its name. The indentations get deeper as the plant matures. The less mature leaves grow as full heart shapes where as the more mature ones will have indentations. Each leaf has a different pattern, almost like the fingerprints of different people’s fingers. The leaves on this plant are very interesting. They actually express alot about the condition of the plant. When the plant is well hydrated, the leaves will perspire little droplets of water. The top of the leaves will also face the sun so it is a bit funny to see the leaves of the plant start to move after you rotate it a bit. Once the plant is more mature and larger, you will need to assist the leaves with longer stems with sticks to hold the stems up. This plant grows best between the temperatures of 20–30 °C (68–86 °F) and requires high humidity and shade. Growth ceases below 10 °C (50 °F) and it is killed by frost. In ideal conditions it flowers about three years after it is planted. Flowering is rare when grown indoors. The plant can be propagated by taking cuttings of a mature plant or by air layering. In order to successful grow this as a houseplant, you will need to think like this plant and try to mimic its natural habitat in southern Mexico. 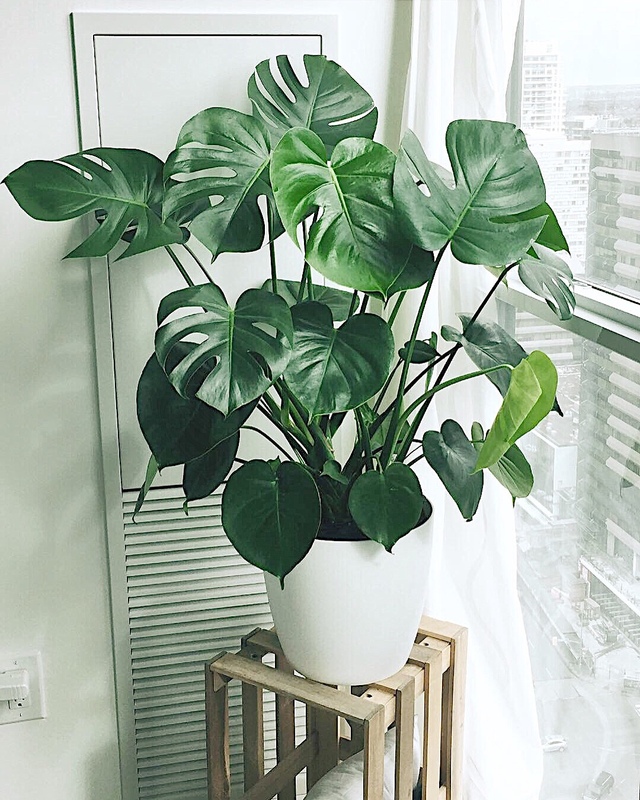 For me, I decided to put this plant in the warmest spot of my condo – the heating ventilation system right next to an east facing window with curtains in my bedroom. It absolutely loves being in the shade but still getting indirect sunlight. It also needs constant hydration – similar to a tropical rainforest as you can imagine – so I potted this in a self-watering pot within the first two months I received it. The self-watering pot has been a definite lifesaver as it has a water meter to tell me the ideal amount of water and when I need to water the plant again. Thought I would update this post to provide some caring tips for all my lovely friends who have inherited a baby phil from my collection! I’ll also post some photos of how they are doing once they get settled into their new homes! Caring for a baby Phil is quite easy. Follow these easy steps and you will have a happy new Phil in no time! Water Container: Find a nice jug/container that is wide enough for their roots to not be squished and fill it with room temperature water. Try to replace this water once every two days but once a week is okay too. Make sure that if there is moss growing on the roots that you gently wash those away so that it can breath. Location: Place it in a location that is not drafty, not cold, and is shady (not too much sun but also not in a room with absolutely no windows). Usually corners of the living room or bedroom behind curtains are good choices. …and that’s it! Baby Phil’s usually do quite well in water containers for their first 4 months after being seperated from their mothers. Once it has enough of a root system (you will see the roots growing crazy), it can be transitioned from a water jug over to a soil pot. The first week in a soil pot will require more attention since they are used to drinking water directly from the container versus absorbing it out of the soil. You will want to water your pot twice a week to make sure it has enough water then can ease him/her to once a week. When it doesn’t have eough water, the leaves will start to turn yellow. A happy Phil will typically grow at least one new leaf per month.